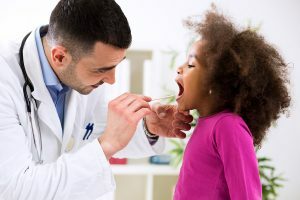 For those in the Newport Beach, California, area, who have a child needing a school physical, whether to begin school or to participate in sports, then Vital Urgent Care is your ideal provider. We are open seven days a week, 8am-8pm Monday through Friday and 9am-5pm on the weekends, and no appointment is never needed. So simply come by when it is convenient for you, instead of missing work to do so. As an immediate care clinic, we also provide quality health services for non-life threatening conditions in addition to physicals. So, should your child sprain an ankle or suffer from another sports related injury, you can stop back in to the facility that already knows his or her medical history through the school physical to receive same-day treatment. To learn more about visiting Vital Urgent Care for a school physical, contact us today. We can examine students who attend any school around the Newport Beach, CA, area.